It should go without saying that LinkedIn is the one social media platform that upholds a more professional standard for posting, sharing and simply connecting with other professionals. So let me reiterate the images message which a colleague posted… LinkedIn is not Facebook. Attend one of my workshops and learn best practices about LinkedIn; you can avoid the many things that might result in a total social train wreck. Whether you’re a new business owner, a sales professional, or a staff recruiter who finds potential candidates on LinkedIn, I can help you make the most of each of these points. After you are familiar with best practices on the LinkedIn platform, we can partner and personalize them tailored to fit your job and industry. Professionals are obviously becoming annoyed by those people who are using LinkedIn the same way they would use Facebook and yet these social platforms are polar opposite in many ways. From one of the best online strategists I know, Gary Vaynerchuk says, “Know the space you are in” meaning that every social platform has its own audience, focus and specifications to posting. If you want to be taken seriously you will know how all the platforms differ and you will more importantly know your ideal audience and what social platforms they are spending their time. However, I feel compelled to offer some suggestions to those more novice to this platform on best practices for best results using LinkedIn. The following 8 tips will prove helpful to learn key LinkedIn Do’s and Don’ts For savvy professionals. 1. Don’t post a blatant advertisement as a status update or a published post. LinkedIn offers a advertising program should you want to create an ad campaign. Besides your colleagues will get annoyed with your lack of professionalism. 1. Don’t post a blatant advertisement as a status update or a published post. Make appropriate status updates fit. LinkedIn offers a advertising program should you want to create an ad campaign. Besides your colleagues will get annoyed with your lack of professionalism. Relevant for what you do and who you serve. Build your credibility by educating people with information they can benefit from. Please post personal and miscellaneous jokes, cartoons, family updates to Facebook. always let people know in a short personal message why you want to connect with them. You will be so much more likely to start a relationship off on the right foot. Viewers don’t prefer pages with offers and blatant self promotion. Once group members get to know you from your participation in group discussions, then I would add an occasional blog post you have written that you feel brings value to the group or opens a great discussion that everyone benefits from. Engage with both existing and potential relationships on LinkedIn through asking and answering questions. Study the groups that your prospects participate in on LinkedIn; join and leverage the groups that are most active in your niche industry. Study and “listen” to how people you search for describe themselves on LinkedIn. Find a key topic or interest to relate to them on. Lastly. if you want to be perceived as a serious professional and build relationships that grow and nurture you professionally than think before you post! 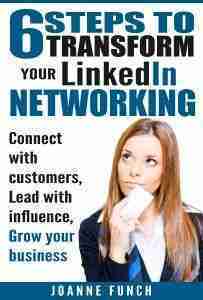 JoAnne Funch, owner of LinkedIn for Business we site: knows how to assit business’s to succeed on LinkedIn and how to adhere to LinkedIn best practices. 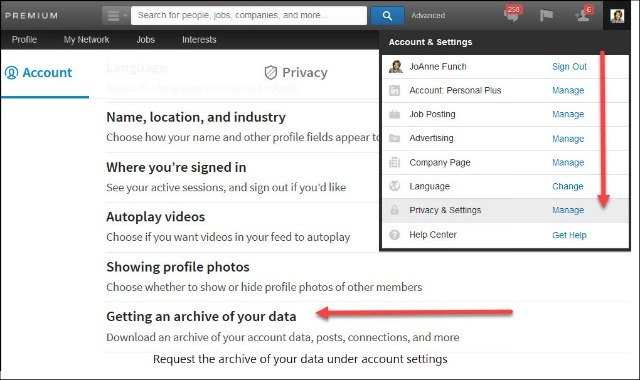 To learn more about LinkedIn Do’s and Don’ts For Savvy Professionals, click on the button below. For 10 more LinkedIn Do’s and Dont’s – Click here to get instant access to my LinkedIn Do’s and Dont’s list for savvy professionals!